The 482-acre, forested park has substantial value as a natural area in the midst of a growing urban area. The trees use carbon dioxide for photosynthesis, ameliorating effects of carbon emissions from burning fossil fuels and related global warming. The forest also removes other pollutants from the air. It moderates temperature, reduces noise, provides wildlife habitat, and is a place for spiritual renewal and enjoyment of nature. 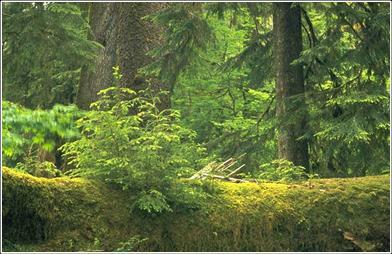 Forests in the Puget Sound region experience a cycle of development and regrowth called forest succession. Prior to settlement of the area by Europeans, the dominant coniferous forests in Puget Sound were primarily disturbed by large-scale wildfires every few hundred years, which typically killed trees over many thousands of acres at a time.